Alliance Recruitment Agency is renowned for providing the best recruitment, placement, global sourcing and other job related services in India. However, our vision extends further than this. We intend to be the go-to option for recruitment services in every nook and corner. Owing to this vision of ours, we have established our manpower consultancy in Kerala. We bring you the best services with a reputation to back up each function we’re in and every work we do. 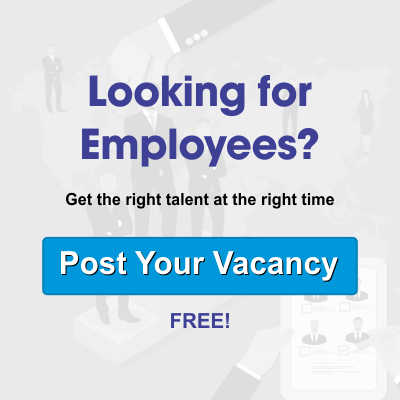 Whether you are a recruiter looking to hire an Indian or an expatriate, or a job seeker who has been out to find the suitable job abroad, we’d like to help. We follow a straightforward approach that takes you into consideration. We welcome you to join this journey with us to find what you’re looking for! As Alliance is a brand in itself, we have our numerous consultants spread across the coasts of Kerala. By spreading our connections within and outside the manpower network we have emerged as one of the top manpower recruitment agencies in Kerala. Our recruiting philosophy is based on lining up fewer but best candidates evoking quality than quantity in this continuously growing digital age. As we understand recruiting is a source of filling gaps in an organization, we have built strong processes based on research as a starting point while hiring for any industry. We, at Alliance Recruitment Agency, have been able to maintain the best track record of providing strong recruiting and sourcing services time and again. Our executive recruiting staff and our expertise allow you to get the best candidate for the job, and for job seekers to find the best position related to their work. Whether you are a fresher or have been out of work recently, we are here to help you find your dream job. Global Sourcing, one of the key services to maintain a chain of networks with businesses all over the world has helped us establish our loyal client base. With growth comes responsibility, and indeed there is no shortage for the availability of recruitment and placement agencies. However, this does not mean it is easy to find the one that is able to deliver you true results in a short time period. For this you can rely on us. The need for global sourcing has never been more important than now since the market is widening and global businesses are looking at India to fill their talent and skill gap. Increasingly, numerous Indians are seeking jobs and careers in global environments every day. Through our global sourcing service, we aim to bring both parties together. In this program, we cover the search from entry level to senior and leadership roles. The resources we bring forward are the result of our team of experts collating data from various sources such as job websites, social media, job communities, learner records, socio-economic data, labour market intelligence and focus groups. We have been able to deliver the best talents since we undertook bold changes and transformed our recruiting system, just to be in control of our growth and perception in the market. In our primary research, we try to check within our network groups and bring the top talent in senior management roles. As any kind of growth brings pros and cons, new developments and changes in the market gives rise to rapid change within the organization and the industry it is part of. As a result of this change, the talented employee lot are moving to better roles while the less talented employees are moving out. We ensure that this transition goes evenly without a hiccup. With various programs such as career coaching, consulting, and freelance and contract roles and active retirement services, we support you in every function.